Is the FMLN doomed to irrelevance? The political party which had its origins in the guerrilla forces which fought in El Salvador's civil war may have little future in the Central American country. In 1980, five guerrilla military forces came together to form the FMLN, the Farabundo Marti National Liberation Front. The FMLN would fight a twelve year civil war against a Salvadoran military backed by the US government, ultimately resolving the dispute with peace accords signed in 1992 in Chapultepec, Mexico. With the Peace Accords, the FMLN laid down its arms and converted to the political party of the socialist left in El Salvador. Guerrilla comandantes became politicians, mayors and legislators. 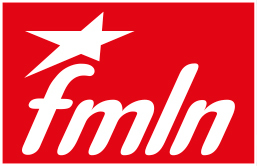 The FMLN as political party would be one of the two major political forces in El Salvador for the next 27 years, along with ARENA, the right wing party founded by major Roberto D'Aubuisson. In 2009 and 2014, the FMLN would capture the presidency of the country. Yet the election of Nayib Bukele on February 3 in a landslide raises the question whether the FMLN will have continued relevance in Salvadoran politics. Bukele, who won elections to be mayor of Nuevo Cuscatlan and then of San Salvador, under the FMLN banner, denounced his former party as no different from ARENA in campaign discourse. The voters might have agreed. 2014 presidential election 1,495,815 votes. 2015 legislator elections: 847,289 votes. 2018 legislator elections: 521,257 votes. 2019 presidential election: 389,000 votes. The party leadership appears to be accepting blame for the defeat. After failing to appear alongside their candidate Hugo Martinez when he conceded the victory to Bukele, the top party leaders have all resigned their posts. They have announced that internal party elections will be held to choose new leadership and that the current leaders will not run in those elections. Even with a change of leadership, it is not clear what the FMLN can do to make itself attractive again to voters. The voters are clearly unhappy with a lack of achievement in ten years of FMLN rule, as well as angry about corruption and party leaders who profited while conditions in the country failed to improve. After suffering an early humiliating defeat in 2018 legislative elections which deprived it of power in the National Assembly, the party will be unable to take credit for any legislative achievements. Voters are unlikely to switch back to the party simply on the basis of campaign promises -- they have heard all of those before. Perhaps the FMLN's resurgence can only happen if a dynamic leader emerges within the party ranks who captures the imagination of the country. Yet the historical structure of the party has tended to disfavor such leaders, and hence the 2017 expulsion of Bukele. We don't know if Bukele's project for El Salvador will succeed. In five years, everything will be up for grabs in national elections as all legislators and the president will be elected in the first few months of 2024. (Legislators will also be elected in 2021, and we should expect that year to have Bukele make the major push to put his own deputies into the National Assembly). Salvadoran presidents are limited to one five year term, and so Bukele will not be on the ballot in 2024. The FMLN will have to start re-inventing itself now if it wants to have any hope of success in 2024. The FMLN is as diseased, corrupt, and worthless as the FSLN in Nicaragua today. Classic "See the new boss? Same as the old boss" performance (or lack thereof) record. Welcome to democratic elections that truly mean something.